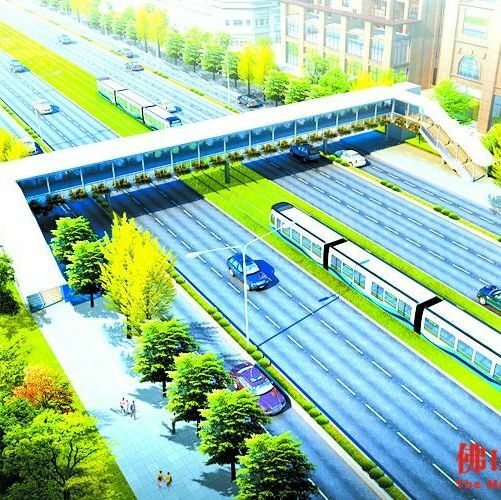 ​A hydrogen fuelled, CO₂ emission free light railway is being built in Foshan, the first of its kind in China. It marks the country’s first deployment of a full-scale commercial hydrogen-powered train system, following the successful roll-out of its demonstration model in Qingdao in 2015. Hydrogen power works when hydrogen is burned with oxygen to produce huge amounts of energy, with the only by-product being water. Hydrail vehicles convert the chemical energy of hydrogen to mechanical energy, either by burning hydrogen in an internal combustion engine vehicle or by reacting to hydrogen with oxygen in a fuel cell to run electric motors. 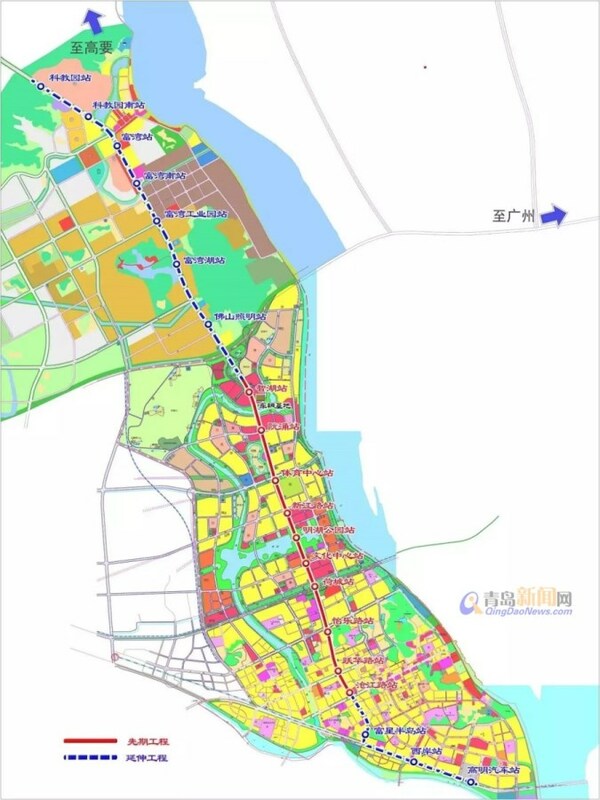 Once finished, this track along the Gaoming line will be 17.4km, featuring hydrogen fuel cell technology with 20 stations in two phases at 760 million yuan. Construction began in February, 2017 and is expected to be completed in 2018. The initial 6.5km section is due to open in 2018. 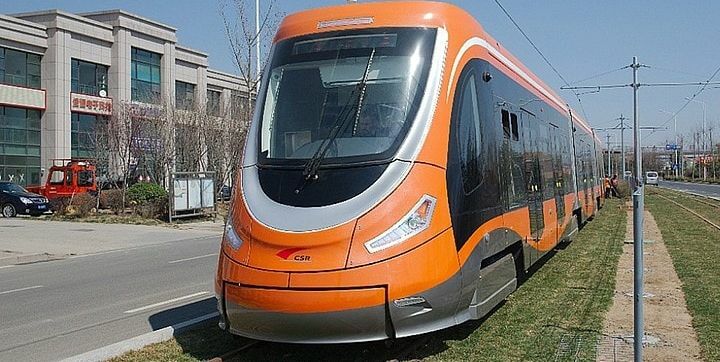 CRRC Qingdao Sifang, the nation’s leading maker of high-speed rail, will undertake to supply eight hydrogen fuel cell trams for Foshan's new light rail line. The vehicle can travel at a speed of 70km/h. 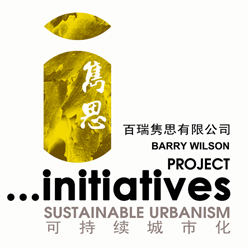 ​This project is compatible with China’s call to promote new energy transportation to clean up the country’s dangerously polluted air. Up until now, most rail related innovations have been battery-power focused or hybrid vehicles. 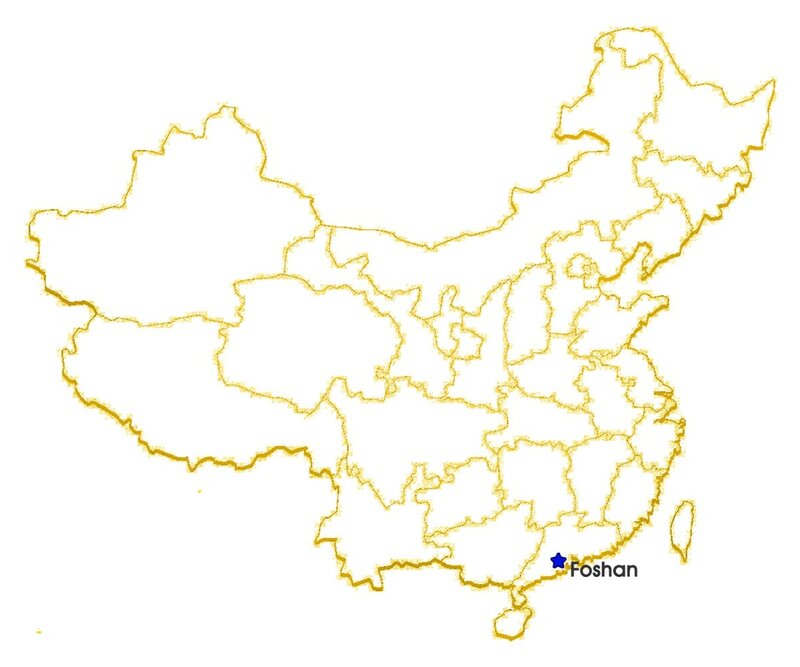 Foshan is one of three of the largest cities in the Guangdong province that plans to upgrade its entire public-bus fleet to electric-powered vehicles by 2020. Their aim is make 75 per cent of public services powered by green energy over the next five years. ​​But China is not the first country to begin using the technology; the first hydrail user will be Germany. Alstom is one of the first railway manufacturers in the world to develop a passenger train based on such a technology. This launch follows the Letters-of-Intent signed in 2014 with the German Landers of Lower Saxony, North Rhine-Westphalia, Baden-Württemberg, and the Public Transportation Authorities of Hesse for the use of a new generation of emission-free train equipped with fuel cell drive. The Coradia iLint, developed by Alstom, was first debuted at the 2016 InnoTrans event in Berlin and will be accessible to the public in December 2017. Once the train has started operations it will be able to travel almost 500 miles each day at speeds of up to 87mph. The train only emits excess steam into the atmosphere, and provides an alternative to the country’s 4,000 diesel trains. There’s also interest in the train from the Netherlands, Denmark and Norway.